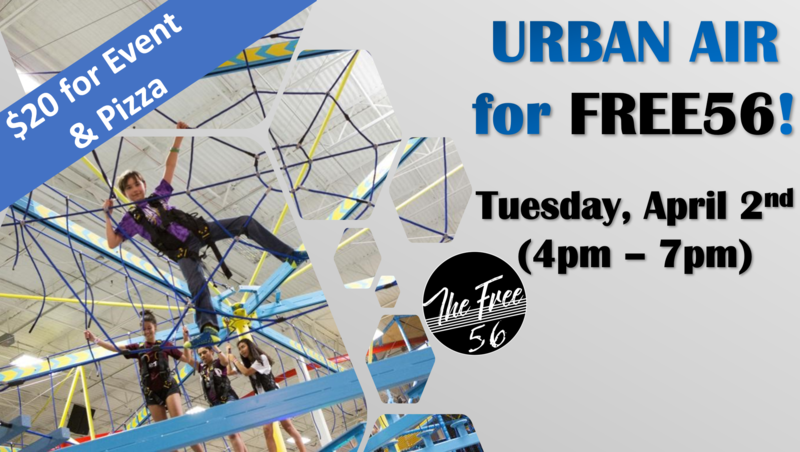 All 5th & 6th graders in the FREE56 are invited to come to Urban Air and pizza on Tuesday, April 2nd from 4pm to 7pm. Come hang out with the Free56 leaders and invite a 5th & 6th grade friend on the Sky Rider Coaster, Ropes Course, Climbing Walls and more! You can sign up in the Free56 room after the 11:00am service or on the Crosswinds Kids Facebook page “CWindsKids” for just $20 per student.